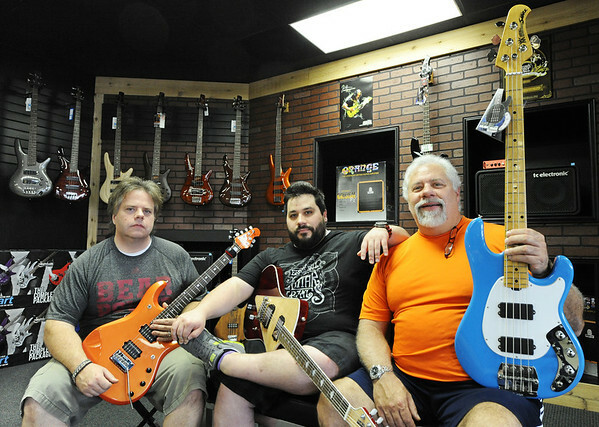 Family owners David, Benji and Ben Peterson with various guitars at Glory Days Music in Joplin. Their new location is at 420 North Range Line Road. Benji is Ben's son. David and Ben are brothers. The row on the wall behind them are bass guitars.